In the retail and ecommerce world, there’s always a new buzzword on the scene. And with the rate at which retail changes, it’s only natural that new terms pop up in an effort to describe the evolving types of stores (bricks and mortar, bricks and clicks, online), the different types of customers (adaptive entrepreneurs, sleuthy shoppers), and the different retail models and their associated technologies: we’ve got m-commerce, social commerce, cross-channel, multi-channel, omni-channel and more recently, unified commerce. Some of these terms are vital to your business success and others… not so much. But unified commerce is one you really need to sit up and pay attention to. In this article we aim to cover all the details from what it is, to why you need it in your retail strategy. Unified commerce is essentially a single platform or piece of software that connects all the dots within your business. It offers a single view of your inventory and all the channels you sell on—from your website and mobile to bricks and mortar stores and marketplaces. On the flip side, it also offers a single view of your customer—their buying history and personal data, no matter which channel they choose to interact with you through. There is some confusion out there between ‘unified commerce’ and ‘omni-channel’—a term which we’ve become quite familiar with over the last five or so years. Unified commerce is one step beyond omni-channel. You might like to think of it as omni-channel all grown-up and matured into an all-encompassing approach to business. ‘Omni’ means ‘in all ways or places’, so in omni-channel retail you’re selling across multiple channels whether that’s in-store, in an online marketplace, on your website or on social, but the work that you’re performing to do this may take place on multiple different platforms or tools. Let’s take Diana for example. Diana is a pet supplies retailer and she uses her ecommerce platform as her source of truth. But Diana also lists some of her last season items to eBay and to do this she has to log into her eBay seller account. When she sells at trade shows she has a point-of-sale device that is supposed to connect with her ecommerce platform but, annoyingly, it doesn’t always show the correct quantities of stock available. And while we’re on the topic of stock, Diana has recently invested in a separate inventory management software that can ‘plug into’ her ecommerce platform. Sound complicated? It is, and all too often the different tools and platforms don’t work quite as well together as Diana would like. And although Diana knows that it’s important to a provide consistent customer experience across every channel, the reality is that sometimes it’s just not that easy. Unified commerce is a way to make your omni-channel strategy so much simpler, because you can manage everything in one place, and every channel works together in real time, connected by the cloud. If you’re not thinking about unifying your commerce platforms, then your competitors most certainly are. In fact, in its survey of 500 top North American retailers, Boston Retail Partners identified that 81% of retailers will deploy a unified platform by 2020 (which is no longer as far away as it sounds). Why is Unified Commerce Important for Your Business? A recent IHL/NCR unified commerce Study found that a single view approach to customers can lead to a 2.1 times increase in sales and a single order management system can lead to a sales increase of 15%. While it’s great for your bottom line, it all comes down to customer expectations and achieving a positive customer experience. They want to be served when, where and how they choose in a consistent, personalized way, every time. And it’s been confirmed as far back as 2015 that 89% of businesses believe that in the future they’ll be competing mainly on customer experience, not price and product. 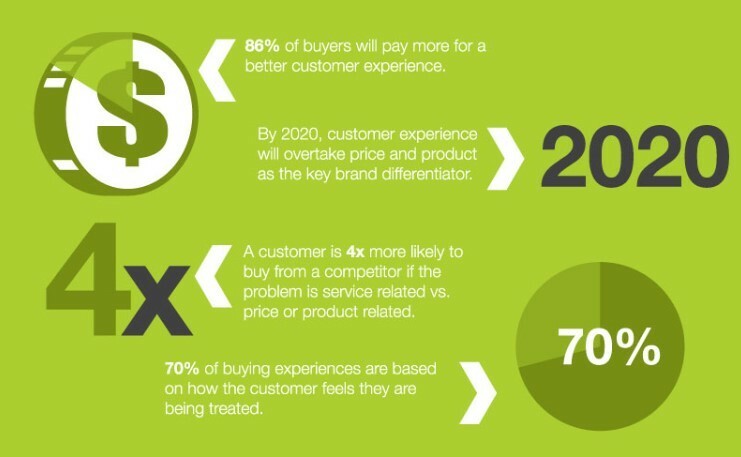 From a customer’s perspective, research has shown that by 2020, they will value the purchase experience over product and price. At the core of a unified commerce strategy is your software and technology. Your business needs a single platform that manages your inventory, sales channels, products, pricing, shipping, communications and customer data. It sounds complicated but the opposite is actually true, it simplifies things dramatically in many ways. Initially it may require some planning and set up but with everything in the cloud there’s no need for patching between systems. It also means less devices and in many cases simple tablet and mobile handsets in place of cumbersome cash registers and PCs. Plus software updates can easily be managed by your service provider. An omni-channel sales strategy is your ability to sell products via a number of channels: your own website, through marketplaces such as eBay or Amazon, via a mobile app or in a bricks and mortar store. It’s estimated that up to two-thirds of all shoppers use multiple channels so it’s a strategy that’s well worth pursuing. The issue is that many businesses are trying to fulfill their multi-channel obligations without the assistance of unified commerce. By running each sales channel in its own silo, your staff will be replicating tasks and working inefficiently. With a unified commerce solution you’ll be able to oversee all channels from the one platform with a single login and complete tasks such as price updates, promotions, product listings and stock movement, just once, not multiple times for each channel. This is probably one of the most exciting and important features of unified commerce. We’ve taken a detailed look at inventory management previously, but this is where it all comes together. Unified commerce allows you to view, track, move and manage inventory no matter where it sits in your stores or warehouses. Because each order is connected in real time to your inventory and your online sales channels feed into your overall stock count, there’s no risk of overselling products or even displaying ‘out of stock’ messages when there’s stock available elsewhere. Have you ever experienced the frustration of purchasing something in store, only to find that it’s cheaper online? Price consistency between sales channels is vital if you’re going to maintain the trust of your customers (and their business). We don’t need to tell you how common it is for customers to first browse your products online, and then visit you in store to touch, feel or try on your product. You don’t want price discrepancies to impact on a positive customer experience and this is best handled with unified commerce ensuring a single price is displayed across all platforms. If you have the stock, and someone is ready to purchase, your commerce system should be able to fulfill the order from wherever the stock is available. This is not always possible if your retail systems vary from location to location but once unified commerce is implemented, the options are endless. It can allow your customers to save on shipping by ordering online and collecting in store. Or perhaps you don’t have the size or color that a particular customer is seeking - your point of sale should allow you to view whether their choice is available elsewhere and then ship direct from warehouse or ship from store if it’s located at another outlet. This simple capability, often termed ‘Endless Aisle’, maximizes opportunities for both sales and positive customer experiences. Selecting the 'fulfil later' option means your customer can pay in store and then you can have it shipped from your warehouse. Neto’s native shipping and inventory tools allows retailers to ‘ship from store’ which means that an online order can be shipped from the nearest warehouse or bricks and mortar store, resulting in much speedier delivery times that are on par with the likes of Amazon Prime. These days, it’s all about BORIS. Buy online, return in store. Customers rightly expect that this option is not only possible, but also easy. Technology can ensure that it’s an intuitive process for your staff, who will handle the refund, return or exchange in exactly the same way as they would for a store return, ensuring a seamless customer experience. The added benefit for you as a retailer is that once the customer is in store, you have every opportunity to turn that return into another sale (or two). "When an order flows into a centralised order management solution, the returns, refunds and customer service are so much easier and the cost to fulfil orders is so much lower." 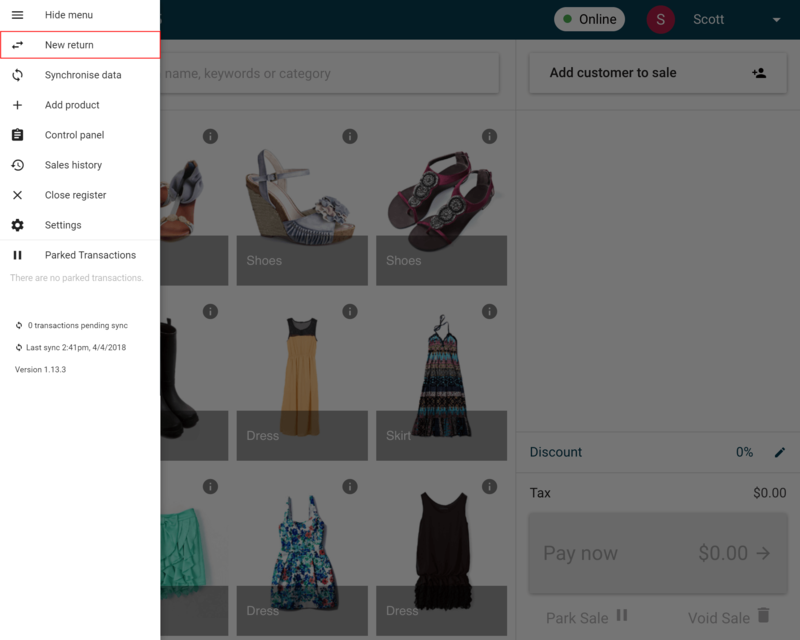 Processing refunds in-store is straightforward with a unified commerce platform that includes POS. | Related Reading: 4 Reasons to Switch to a Modern Point of Sale Platform—Is Yours Out of Date? With all your sales, orders and shipping occurring within the one system, unified commerce also offers the opportunity for automated communications via email and text messages. You can improve customer experience by keeping your customer informed at every step of the order process and then follow up with a request for feedback or a review. You can even give them a promotional offer for their next purchase. Unified commerce also acts as a communication tool within your organization, giving your staff the information they need to answer customer enquiries or address an issue—information regarding both inventory and customers is literally at their fingertips. And this brings us to the core benefit of unified commerce… positive customer experiences. As we mentioned earlier, your customer wants to shop where, when and how they want. Unified commerce delivers a unified experience for your customer at every touch point with your business, and builds their trust in your brand offering. Customers expect your staff to be able to ‘look them up’ and see their order history, their order status and at the same time view inventory and place an order on their behalf – whether they’re standing in front of your staff member or at the other end of a customer service email or phone call. Unified commerce provides your staff with the opportunity to enhance the customer’s purchase experience and provide outstanding service that sets your brand apart. Leading on from the customer experience, unified commerce also builds your brand in terms of what it represents in the marketplace. It helps you gain a trusted reputation that represents great customer service and transparency. And with brands competing less on price and product and more on customer experience, you’ll be well ahead in meeting customer expectations and differentiating your brand. What will the future look like? The technological advances from this point forward are exciting and very possible. Imagine integrated shopping carts that are shared between store POS, tablets, and ecommerce sites. Or artificial intelligence that can recognize in-store shoppers via their mobile phone, translating their past purchase history and current in-store movements into useful information for in-store staff or targeted online marketing once they leave the store. Okay, we’ll try not to get too carried away but it’s not as far away as you think. Unified commerce is you business’ single version of the truth. 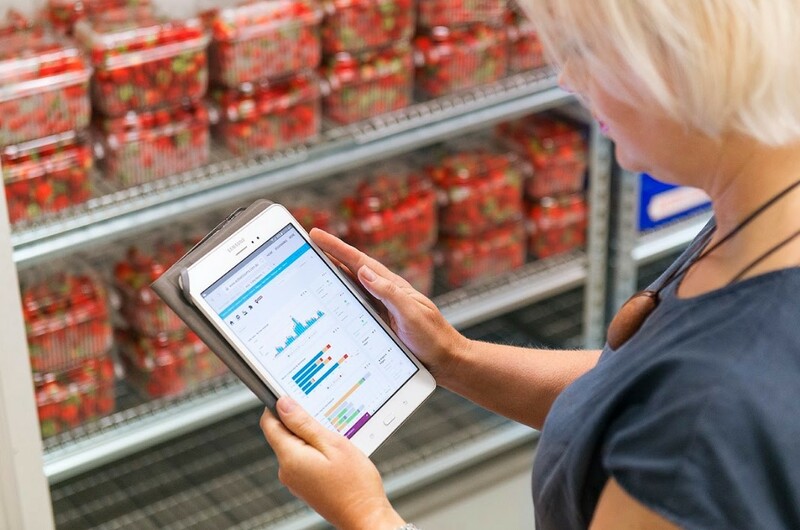 It’s a single view of your inventory and your customer and it’s the next step in retail technology. Neto is ready to take the next step with you by providing an all-encompassing software solution that manages your product listings, pricing, inventory and orders as well as transactions, shipping and email support. We integrate with hundreds of add-ons that ensure your business operates seamlessly and efficiently. And we offer a free trial plus loads of support to get you started. Watch Next: Learn more about how unified commerce can help you streamline your daily operations and cute out unnecessary tasks in this webinar - Retail Back Office Optimisation: How to save 30 hours/week and $100k per year.